The vibrant atmosphere and unique aesthetic of WestCo Café has rendered it a reliable go-to venue for many student-run events and one of the defining elements in characterizing the University’s social life. 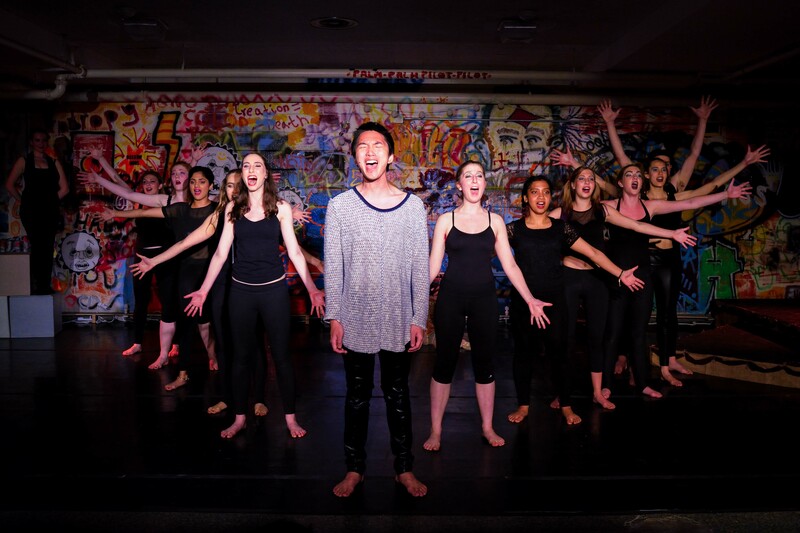 Last weekend, it was packed with students gathered to see the Second Stage production of Stephen Schwartz’s Tony Award-winning Musical “Pippin,” directed by Susannah Clark ’17. The tickets for each performance sold out in a matter of minutes, which didn’t keep eager students from waiting in line 90 minutes before the show to put their names down on the wait list. As I entered the venue, the magic of “Pippin” began to reveal itself through lighting designed by Phillip Heilbron ’18, which eloquently illuminated the graffiti on the wall. It created the perfect backdrop to provide “Pippin” with a new identity, as if it had been adapted for the unusual space of Westco Café. “Pippin,” like many other musicals, is about the existential crisis of finding a purpose in life. The protagonist, Pippin, played by Liam Tran ’17, is introduced as the prince and heir to King Charles, played by Emerson Obus ’16. In pursuing his dream of discovering where he belongs in the world, Pippin dedicates his time to learning and reading as a scholar. In Charles’s kingdom, we meet Pippin’s stepmother, Fastrada, played by Melanie Parziale ’16, who is eying the throne for her son Lewis, played by Noah Miller-Medzon ’19, a master in the art of fighting. When Pippin returns home from his soul-seeking travels, he and his father struggle to connect with each other, so when Charles and Lewis prepare for a battle against the Visigoths, Pippin begs to join them, hoping that he will prove himself to his father. The first act was representative of “Pippin”’s vivacity and boisterousness, with the ensemble dancing to musical numbers such as “Magic to Do” and “Glory,” or the battle of Visigoth, during which fake body parts are thrown around the stage. The second act establishes a more mellow tone, introducing us to a bevy of new characters such as Catherine, played by Daphne Gampel ’19, Pippin’s love interest, and her son Theo, played by Ryan Dobrin ’18. This second half carried a more emotive, albeit equally comic, tone, culminating in a stunning finale. The leading stars of the night were Tran and Weinshank, who amazed the audience with their vocal power and confidence on stage. As the Leading Player, Weinshank also spoke to the audience directly, building momentum all the way into the finale, where she delivered a mesmerizing, awe-inspiring performance. Tran gracefully guided the audience through the Pippin’s quest to find his purpose in life while showcasing his brilliance in singing. The choreography of Emily Butcher ’17, Shana Laski ’19, and Henry Lombino ’18 made it difficult to even blink for fear of missing the stunning sight of the ensemble carrying each other across the stage on their shoulders, jumping through hula hoops, walking on wire, and playing with fire. More importantly, each dance number was carefully integrated into the show such that the progression of moving from dialogue into dance (and vice versa) felt natural and purposeful. Thanks to sound designer Griffin Deary ’17 and sound engineer Miles McLeod ’17, both the vocals and music were not only audible, but also clear and pleasing to the ear. Needless to say, the orchestra was phenomenal in bringing the essence of Schwartz’s mesmerizing music to life. 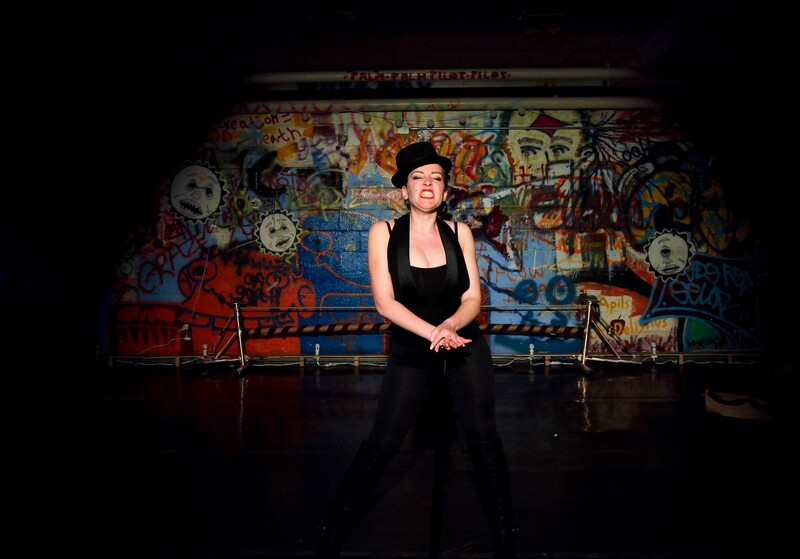 And finally, Clark directed the performance with impressive grace and elegance, especially considering that it was her first time directing a musical. In the WestCo Café, and with a cast of more than ten, Clark managed to effectively use the space of WestCo Café, blocking the scenes to ensure that every actor and actress in her fifteen-odd cast could move around without restraint and providing enough space for the choreographers to have significant freedom in their works. Clark also heightened the comedic nature of the show. While the ’92 Theater has hosted most of the University’s musicals in the past, “Pippin” managed to find its home in WestCo Café, and despite my doubts, managed to take advantage of almost every unique feature that the space had to offer. “Pippin’s” goal of finding an answer to existential questions about life and love with those who were willing to give it a chance is one that sets the tone for a magically enticing night, and this production most certainly delivered on that promise.